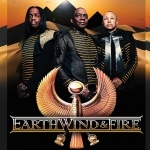 R&B and funk legends, Earth, Wind & Fire perform Fri., July 19 at Harrah’s Stir Cove. Tickets go on sale at 10 a.m. Fri., March 22, but you can get in on the presale that begins at 10 a.m. this Wed. (ends Thur. at 10 p.m.) by using the password ‘STIRCOVE19.’ We’ll have the presale link for you shortly.